The telling of history often centers on individuals, with a narrative recounting the greatness of a hero or the depravity of a villain. But sometimes we lose sight of the fact that the man behind the proverbial camera — the individual responsible for the recording of history — can also be a hero. The number most frequently associated with the Holocaust is 6 million, but a figure that is equally important is 72 — as it is now 72 years since the camps were liberated. For seven decades, it has been the courageous survivors who have led the charge of Holocaust remembrance, recalling memories of the living hell they endured and sharing it with younger generations to help build a future of tolerance. In 1945, Dwight Eisenhower set out to create a historical record so that these crimes were never ignored — or forgotten. 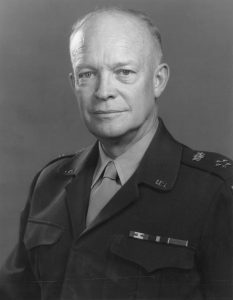 While he was the Supreme Allied Commander in Europe, Gen. Eisenhower decided that the crimes that had been perpetrated against humanity were so extreme that his duty extended beyond winning the war for the Allies. Eisenhower made it a point to visit concentration camps so he would be able to give first-hand evidence of the unspeakable atrocities if the Holocaust was ever questioned. At his direction, the horrors U.S. troops witnessed when they liberated concentration and death camps were recorded for posterity to refute Holocaust deniers and to showcase to the world the danger of unchecked racism. The number of survivors who can tell their own stories is dwindling, and it’s clearly not viable to continue leaving the burden of remembrance on their shoulders. In light of this, the work Eisenhower began of recording Holocaust history is increasingly important. In Philadelphia, the site around the 53-year-old Six Million Jewish Martyrs sculpture, a pioneer in its own right, is set to receive a multi-million-dollar expansion to enhance the existing monument and better educate future generations. 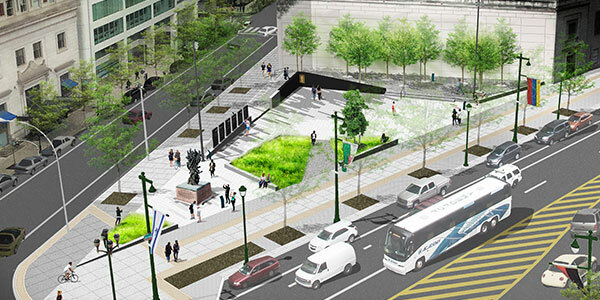 The new Philadelphia Holocaust Memorial Plaza will include entirely new elements to enhance the poignancy and educational value of the monument. New additions will include original train tracks from the railroad adjacent to the Treblinka death camp and a grove of trees representing the forest that sheltered those who resisted the Nazi regime. 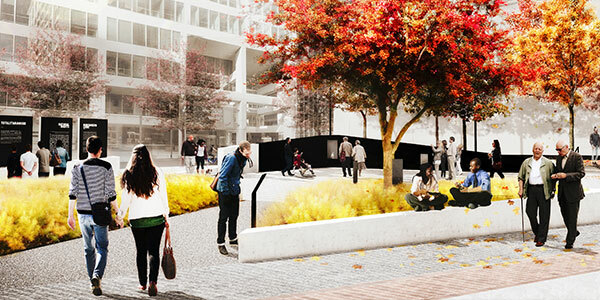 The plaza will also incorporate six pillars highlighting the universal lessons of the Holocaust. 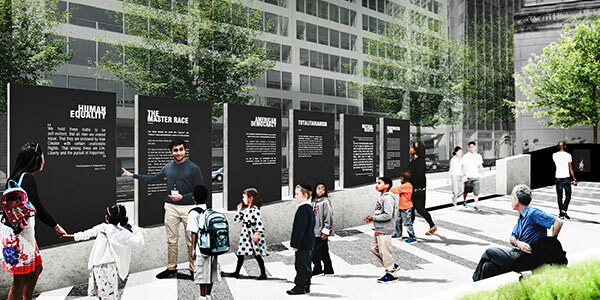 The pillars will chronicle motifs of the Holocaust and contrast them with American constitutional protections and values — juxtaposing, for example, the Nazi conception of “the master race” with “human equality” — to impress upon visitors how the noxious philosophies that led to the Holocaust can be countered by humane, democratic ideals. Just blocks from the birthplace of American democracy, the plaza will promote a global society free of tyranny and hate. When discussing heroes of the Holocaust, most people rightly recall the likes of Raoul Wallenberg, the Swedish diplomat who saved the lives of thousands of Hungarian Jews. Eisenhower, whose birthday was on Oct. 14, provided a humanitarian contribution that was admittedly more subtle. Elie Wiesel noted that to forget a holocaust is to kill twice. So while we praise Wallenberg for his efforts to prevent the Holocaust, we can equally laud Eisenhower for preventing the tragedy from being repeated. David J. Adelman is chairman of the board of the Philadelphia Holocaust Remembrance Foundation.